Vaporesso Nebula kit is a sight to behold with its fantastic looks and innovative ergonomics, capable of 100 Watts vaping power, packed full of all the essential features we desire. The Nebula Mod is dual purpose when it comes to battery selection, as it allows you to use a single 18650 or a 26650 for maximum output. The Nebula Mod has fully functional settings for temperature control, supporting Titanium, Nickel and Stainless Steel, as well as Variable Wattage mode. It also has a power curve setting, allowing you to fully customise your vaping experience and also memory settings to support your various atomisers. The device houses the latest board from Vaporesso, allowing you to use it in bypass mode and boasts full circuit protection built in. Its stylish, futuristic looks will leave you in awe, as will the build quality, it really does feel extremely well made, indicative of the high standard we are accustomed to from Vaporesso. The Mods casing is constructed from high quality Zinc Alloy and Aluminium materials, available in various colour schemes to suit your taste and all look awesome. All your information is displayed on a simplistic, bright OLED Screen, with a single trigger firing button at the top of the device and up and down selection, with the menu button at the base, works effortlessly and compliments the Nebula throughout. The Veco Tank is game changer, that will propel your vaping experience to the next level with its innovative design and fusion with the new EUC stock coils. 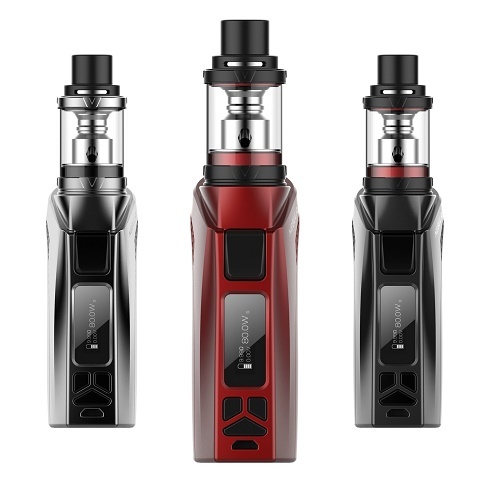 Vaporesso went back to the drawing board and tapped into their deep product knowledge allowing them to pioneer a tank that steps away from the traditional generic Sub Ohm Tanks we have been used to up until now. The Veco is compact in design and has a superb top airflow system that ensures no leaking, whatsoever. This coil system, keeps your vaping experience simple and affordable, but ultimately, satisfying, due to the rich flavoursome vapour it can produce. It uses the EUC stock coils that although appear small in size, certainly pack a flavourful punch, even at lower wattage's. The difference between traditional coils and the EUC coils used in the Veco Tank, is that instead of replacing the whole item including the metal sleeve, you only need to replace the inner section thus lowering the manufacturing costs, enabling Vaporesso to pass on the savings to you the vaper. I was looking for a descent Vape device, think I have found it with Vaporesso, its brilliant! Easy to setup and operate, giving the right wattage. The Mod is like an overgrown Target MOD, but the real plus point for me was the VECO PLUS tank, which is a delight to use, and genuinely leak free without sacrificing a decent air intake. Prior to buying this I had purchased a vaporesso guardian one with the ceramic ccell coils which I absolutely love, only problem is it only hold 2ml so I decided I wanted a bigger tank. 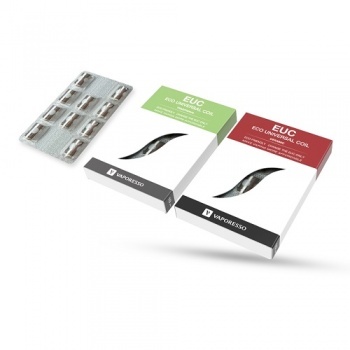 Although this kit comes with the ECO euc ceramic coil I figured I would get the same intense taste I had become accustomed to with the guardian. NOT SO, the tank just doesn't perform anything like the guardian, however, the Mod is nice, it's quite heavy but feels good in my hand and I like look of it though is a bit heavy to carrier in a pocket. It's a shame because the guardian tank completely changed the game for me and has helped me give up tobacco completely now for over a month and I can't recommend it enough, I've now ordered a second one to put on this mod and will live with the 2ml capacity. Mod is fantastic and tank superb. Ceramic coils amazing.